It seems like more and more people are getting in line with the U.S. Department of Agriculture (USDA)’s recommendation to eat eight ounces of fish per week. Fish is full of healthy essential fatty acids, along with protein, vitamins, and minerals. Many have discovered that one of the best ways to ensure unwanted calories aren’t a part of restaurant meals is to order the fish or seafood entre. By opting out of the steak or pork loin dinner, many people feel—and rightly so—that they have made a better choice as far as their health is concerned. Here’s something to consider the next time you order fish or seafood at your favorite restaurant, however: watch out for labeling fraud. According to a recent report on seafood by the conservancy group Oceana—the largest international organization focused solely on ocean conservation—labeling fraud happens all the time. After visiting over 600 retail outlets, the researchers found that almost half sold mislabeled fish. 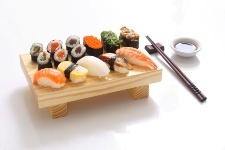 As for restaurants, those who sold sushi were most guilty of mislabeling fish. Three quarters of all fish in sushi were mislabeled as a different type of fish. Restaurants clock in at a 38% fraud rate, while grocery stores were guilty of mislabeling products 18% of the time. Why worry, you might be asking yourself? After all, you’re still getting fish and that’s the whole point, right? A number of issues may come into play in the mislabeling of fish and it isn’t all about a debate over taste. For example, many species of fish all over the world are protected due to overfishing and loss of habitat. Efforts to restore populations of these fish center around “no fishing” regulations and the protection of spawning grounds. These at-risk species of fish are sometimes caught and then labelled as a more acceptable and sustainable type of fish to eat. Another problem with mislabeling is that you might have paid for a more expensive fish, such as red snapper, when in fact you are being served tilapia. And too, there’s the issue that some species of seafood that turned up when Oceana conducted its testing were not even included among the 1,700 species the U.S. federal government recognizes. This could pose a real threat to your health. Some fish cause allergic type symptoms, while others are high on the USDA’s mercury list. Is there anything you can do to protect yourself against “fish fraud?” Unfortunately, it all comes down to the issue of trust. You can establish a relationship with the staff at your local fish market and try to make sure you’re getting the fish you pay for by asking questions before you buy. Ordering sushi seems to be particularly problematic, so again, search out those restaurants you trust. Remember that “wild” caught fish is going to be more expensive than farmed fish. If you’re getting wild-caught tuna for the same price (or lower) as farmed tuna, you could be scammed. Do keep fish in your diet. It’s still an excellent choice for your health, but ask your grocer or restaurateur to verify what fish you’re eating. Eating fish regularly can boost brain power, elevate your mood, reduce your risk for heart disease and protect your eyesight. “Oceana Study Reveals Seafood Fraud Nationwide,” Oceana web site, February 21, 2013; www.oceana.org, last accessed June 27, 2013. “Dietary Guidelines for Americans 2010,” The United States Department of Agriculture web site; www.cnpp.usda.gov, last accessed June 27, 2013. Takata, Y., et al., “Fish Intake and Risks of Total and Cause-specific Mortality in 2 Population-based Cohort Studies of 134,296 Men and Women,” Am J Epidemiol. June 20, 2013.